Graduation in Economics Honors with Distinction. Advanced Diploma in Marketing and Sales from NIS SPARTA LTD. Associate Professor - HRM/OB from March 2010 at IMT. 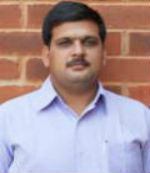 Assistant Professor - Management, from 2000 at National Institute of Science & Technology, Berhampur, Orissa. J. Mohanty, “Are Government Owned Organizations Deliberately Demonized? The Organizational Citizenship Behavior Indicators,” Advances in Management and Applied Economics Vol. 3, No. 4, 2013, Scienpress, UK. Do Organizations Grow Culturally with More Educated People? Do Ethical Organization Spend More on CSR Initiatives? Impact of Organizational Culture on OCB: A Comparative Analysis. Issues, Perspectives and Interventions, Lambert Academic Publishing, Germany.